Some medical conditions, such as umbilical hernias, can also lead to this type of rash. Read on for more detail about the most common causes and symptoms as well as some medical and home remedies to treat this. More often than not, this rash comes with other symptoms, such as itchiness and tenderness. These can lead to an urge to scratch the area, which will only result in more damage to the affected area. While most of these causes are treatable using drugs and therapy, it is still best to practice precaution and prevention. The treatment plan depends on the primary cause, so it is important to know why the rash developed. Once the navel gets infected, rashes and other symptoms will often appear. Infections can come from substances as common as lint and body hair that can cause inflammation and redness once they enter the umbilicus. Infections may cause redness, itching, foul smell, soreness, and even pus or fluid formation out of its canal. Mild to moderate pain and gray or green-colored discharge can also occur. Because the belly button is often deep and usually damp, it is very easy to breed bacteria and/or fungi in the area—especially when combined with poor hygienic practices and piercings. 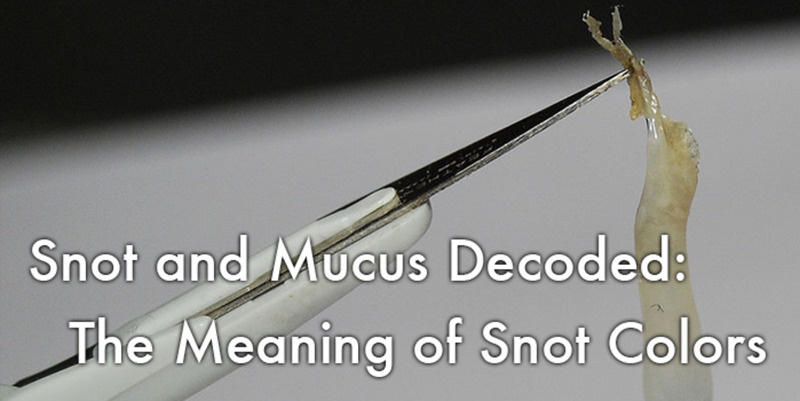 Sweat and even residual soap can be deposited in the umbilical cavity, which will promote and facilitate bacterial or fungal growth, thus causing the infection. Other factors that can promote infection include pre-existing medical conditions, such as sebaceous cysts, diabetes, and obesity. Surgery near the belly button can also lead to similar symptoms. Exposure to harmful ultraviolet rays of the sun can also contribute to such navel infections. However, bacteria and fungi are the two most common culprits. These may not directly cause infections but can increase the chances of forming a rash around the belly button. Allergies: A variety of allergens can cause a rash to form around the navel. People have different levels of skin sensitivity and those who are more prone to reactions can suffer from allergic manifestations after contacting certain allergens. These allergens can vary from certain metals to foreign matter (e.g. skin products, laundry soaps, bath products, etc.). The most common form of manifestation is contact dermatitis, which develops as a reaction to allergens. Once a person has this condition, it is imperative to heed the advice of a doctor, particularly a skin specialist or dermatologist. Correct diagnosis and prompt treatment are important to avoid further damage. Tip: The best way to avoid contact dermatitis is by staying away from known allergens in the first place. Psoriasis: This is a skin condition with symptoms such as tenderness, itching, prickling, redness, and the appearance of dry patches of skin. These patches may be thin or thick, depending on severity. Milder cases can be treated with topical creams while more severe cases require topical medication with anti-inflammatory agents and vitamin D. Depending on the severity, the doctor may suggest the use of steroid injections to reduce the inflammation. Urinary Tract Infections: These infections can present with pain and a rash around the navel in addition to frequent urination with smelly and cloudy urine. Umbilical or Periumbilical Hernias: These conditions are characterized by the protrusion of a portion of the small intestine between abdominal muscles. This can sometimes lead to rashes. Note: To prevent this from happening, you should avoid the risk factors that contribute to hernias in the first place. These include obesity and persistent coughing. However, there are conditions which cannot be controlled and/or are necessary, such as pregnancy, surgery in the abdominal area, abdominal masses or tumors, fluid accumulation due to other conditions (kidney and liver disease), and others. Scratching the rash will not only cause further discoloration and growth of the affected area, it can also cause bleeding, and may aggravate it towards re-infection. Body Piercings: Unhygienic and/or improper piercing procedures are most likely to lead to infection of the belly button area. Improper aftercare of the piercing can also contribute. If the piercing isn’t maintained correctly after the procedure, bacteria can easily breed in the area. Initially, there may be bleeding, and, eventually, pus formation and discharge. Localized pain will likely follow, too. Pregnancy and Childbirth: Many women report an itching sensation that lasts throughout their pregnancy, especially in the area around the navel. In this case, it is likely caused by skin stretching, as the uterus increases in size to make room for the growing baby inside. As the skin stretches, it loses a lot of much-needed moisture. The buttocks is another area that may experience a similar discomfort as it also expands during this time. Women are advised to refrain from scratching these areas during pregnancy since it can promote and worsen the problems. This can not only be uncomfortable but can also pose risks for both mother and baby. It is important to know that this itchiness will most likely go away after pregnancy. However, if it does not, it is best to consult a health care provider, especially if it is accompanied by soreness, redness, or pain. Overeating: Yes, this is possible. Some people experience rash-like symptoms around the navel after eating—in particular, overeating. This is because the skin around the stomach has to expand to make room for the excess food consumed, much like what happens during pregnancy. Menstruation: A monthly period is another risk factor for women. Some report feeling pain in the navel area during menses. 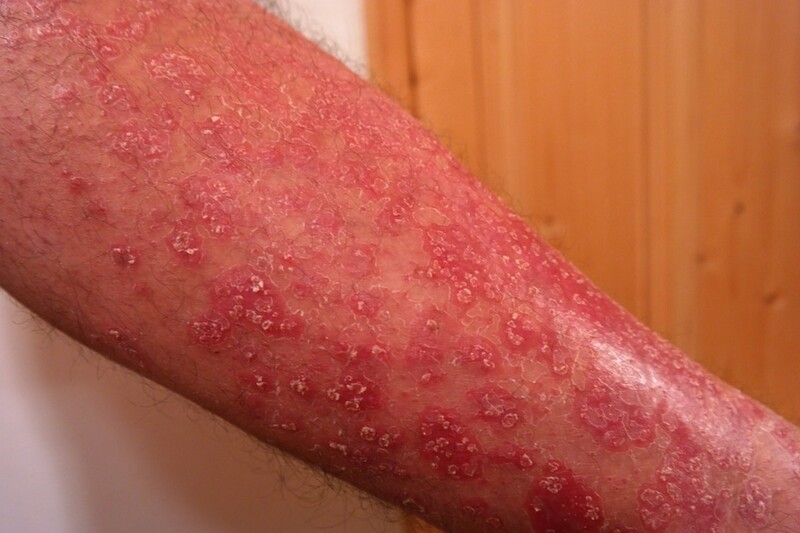 This is often caused by a blistering disorder called pemphigoid gestationis. This starts during the later phases of pregnancy, although many women report experiencing it when they start using oral contraceptives or as soon as their menses returns. Experts believe that estrogen is most likely responsible for aggravating the rash around the belly button. This is why it begins during pregnancy when hormone levels rise. It is also possible for this to reoccur during future pregnancies. However, you don't need to worry much because this condition often resolves by itself, usually after pregnancy, return of menses, or use of oral contraceptives. Cleansers: This may sound counterintuitive, but it does happen. Sometimes, after cleaning the belly button, an itchy and/or tingling sensation follows. This may be due to specific ingredients found in the cleaning agent that you use. The first aid measure is to change the product immediately and to refrain from using products with alcohol or other strong cleaning agents. Harsh chemicals can cause irritation and get rid of the skin’s natural flora (good bacteria) that actually help keep the skin healthy. Tip: Always make sure to dry the skin in and around the navel after bathing or washing. This prevents unnecessary moisture from pooling there. A moist, damp navel is the perfect breeding ground for harmful bacteria or fungi. Scabs and Crusts: These skin conditions are primarily caused by bacterial infections, similar to those mentioned earlier. As the infection dries up and heals, the collection of dead skin forms a scab over the affected area. The scab or crust will generally cause rash-like symptoms. As always, it is advised to refrain from scratching because this can cause the scab to peel off and delay the healing process, or worse, re-infect the area. Before using any of these home remedies, you should consult your physician, especially children and pregnant and lactating mothers. If you have skin sensitivity or allergies, be extra careful with regards to these treatments. You should get a skin patch test and doctor approval before trying any treatment. Surgery: Recommended for rashes that have progressed so far that they produce a pus-like discharge and foul odor. Often, this is best for those who are suffering from a patent urachus. Surgery relieves the patient from discomfort and can prevent urinary tract infections, urine leakage, and even urachal tube cancer. Blood sugar control: Diabetic patients have to control their blood sugar levels. Elevated levels of blood glucose will predispose them to rashes with secretions and foul odors. Glucose levels can be maintained with medication and lifestyle changes. Regular washing of the area with antibacterial soap and lukewarm water and thorough drying can help prevent the rashes or keep them under control. Creams and foams: Doctors may prescribe various topical medications to wash the affected area. These are effective in controlling the current infection, if there is one, reducing most of the uncomfortable symptoms present. Tea tree oil: This is antifungal, antibacterial, and has antiseptic properties that can fight off bacterial or yeast infections. Side effects: Generally, when applied topically, it doesn't cause any harm unless you are allergic. Before applying to the affected area, you should go for a skin patch test so that you can prevent further skin damage or worsening symptoms. There are many side effects when this is ingested, including drowsiness, vomiting, nausea, and hallucinations. Ingestion may also cause a hormonal imbalance. When ingested to younger boys, it can lead gynecomastia. Saltwater: Salt, itself, is a first aid measure for fighting infections. It is also helpful for reducing excess moisture. To use, simply mix salt with warm water. Then, drop a bit of the solution in and around the navel. This will prevent further growth of the infection and will improve circulation of blood to facilitate healing. There are no specific side effects of using saltwater. However, there may be a slight burning sensation when applied to broken skin or open wounds. Be careful with salt water from the ocean as it may contain some impurities. Aloe vera gel: This can treat the area by relieving inflammation, redness, and itching. Just apply some of the gel over the area, as much as three to four times in a day. You can get this over-the-counter. When applied to the skin, in some people, aloe can cause allergic reactions. Overingestion can cause diarrhea and stomach cramps. Oral ingestion of this medicine is not suggested for pregnant and lactating mothers. Patients with diabetes should also avoid ingestion as it can decrease blood sugar levels drastically. It may also affect the kidneys when taken orally. Turmeric paste: This paste contains antiseptic properties that can fight off the belly button infection. It also has anti-inflammatory effects that can reduce the severity of the rash. Just apply the paste over the navel, as needed. People with turmeric allergies should be careful as they may develop rashes. Possible side effects seen when ingested are heartburn, gastric irritation, diarrhea, constipation, liver problems, and uterine contractions. High doses are not recommended for pregnant and lactating mothers. Neem oil: Rich in antifungal, antibacterial, and antiviral properties, it can effectively cease further infection growth. This will also reduce pain and itching. Simply apply a few drops in and around the navel, as needed. It is unsafe for pregnant and lactating women, and children to take orally. High doses of neem oil consumption can cause long-term harm to the kidneys and liver. In infants and children, consumption of this oil can cause serious side effects, like vomiting, blood disorders, seizures, and can even lead to coma. It is generally safe when applied to the skin in small amounts, unless you have an allergy to neem oil. Belly button rashes are quite common and can be caused by a variety of factors. They can be very uncomfortable, but the preventive measures are quite simple if you remember to follow them: have a good hygienic profile, eat a balanced diet, exercise regularly, and consult a physician if you suspect anything wrong. Which of the following preventive measures can you take in order to prevent aggravation of the belly button rash? Wash the area using alcohol. Dry the area thoroughly after bathing or washing. Scratch the area to relieve the itchiness and pain. "Fungal Infections of the Skin". WebMD. Retrieved on 7, Feb. 2017. "Bacterial Infections". Medline Plus, U.S. National Library of Medicine. Retrieved on 7, Feb. 2017. "Tea tree oil". WebMD. Retrieved on 7, Feb. 2017.